Footage from the western province of İzmir showing a man halting a tram by performing prayers on a tram line has gone viral on social media. Tram driver Aysu Tuna: I realized that someone prays while driving. No.. 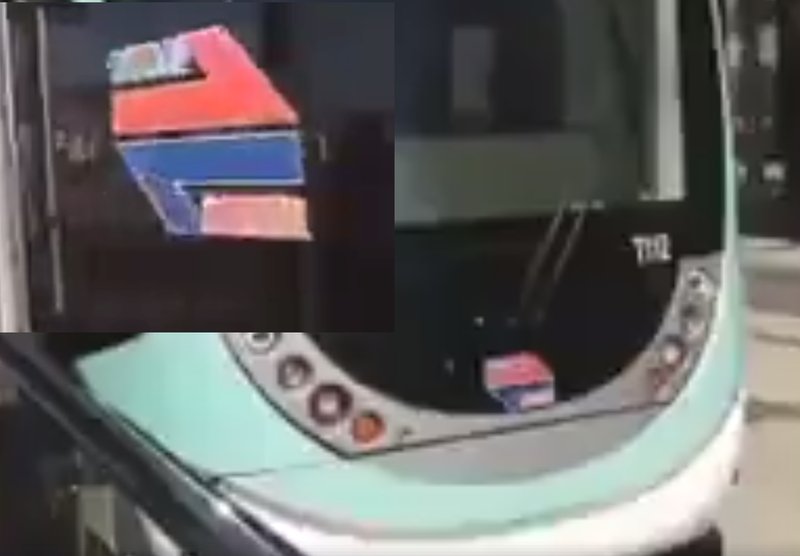 The version Michel posted had various sound effects added and some random unrelated footage of tram passengers around the 1:45 mark (you can tell because there is bright daylight outside while the rest of the video shows dusk).